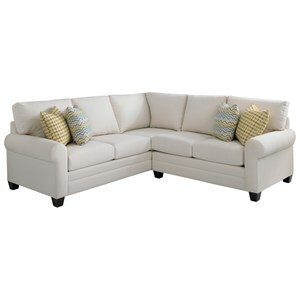 Add a large area of comfort to your family room space by making this corner sectional the center of attention. 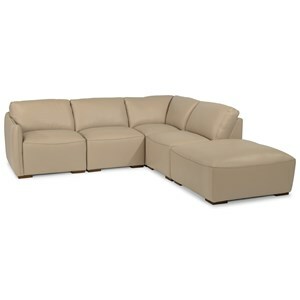 A large sectional sofa with a convenient design, this casual couch will fit up against a wall, maximizing walking space in otherwise compact areas. 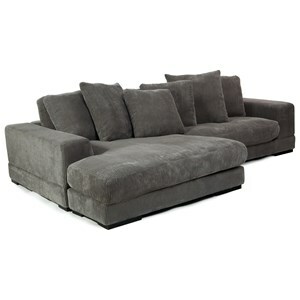 A five cushion seat construction allows this sofa to seat five or more guests while plush back rests and pillow topped arms provide fine details of style and comfort. Complete with exposed wood feet and visible seam stitching, this entertainment room sofa will become a quick family favorite. 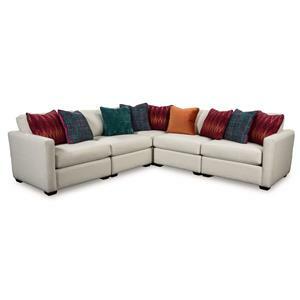 The 2682 Large Stationary Comfortable Corner Sectional by HTL at Fashion Furniture in the Fresno, Madera area. Product availability may vary. Contact us for the most current availability on this product.